While I was visiting my old high school to visit a former teacher of mine, I brought with me an incomplete stand-up comedy act that I had been working on that day (it was kind of lackluster, so I abandoned it). It was about three-fourths of a page I’d written about computers, and how they’re trying to take us over by driving us crazy by crashing on us (bye bye budget!). While I was waiting in the office for school to let out so I could go visit my teacher friend, I showed the work-in-progress act to the school librarian, who I thought could give me an honest opinion on the piece. Instead of an honest opinion, she instead warned me to be careful or else I know what happens. And that just struck a certain chord with me (you know, the kind that turns thoughts into quotes). In the two years since I’ve been out of high school, I seem to have forgotten that many (but not all) of the faculty and staff in my old high school are a product of an educational system where children are considered evil and that any and all actions children do outside of sitting and twiddling their thumbs are construed as a threat, and they should be suspended and referred to law enforcement for it. The librarian was obviously not familiar with the case McCollum vs. CBS, Inc. and Osbourne, which I studied in my COB 218 (Business Law) class. The case was about the family of a suicide victim sued Ozzie Osbourne and CBS because the victim acted on the lyrics in one of Osbourne’s songs and killed himself. Mind you, the victim was not 100% together mentally, but he still did the dirty deed. The result finally came down to that the defendants won, because the court held that he could not be found liable for other people acting on his lyrics. It makes me so glad that I’m no longer in K-12 education, otherwise known as the land of zero-tolerance. Yes, the land of zero-tolerance, where an Arkansas student, according to About.com, was suspended for three days for pointing a chicken nugget (yes, you heard it right) at a teacher and saying, “Pow, pow, pow!” In Oldsmar, Florida, according to sun-sentinel.com, a student was removed from his elementary school IN HANDCUFFS for drawing a picture that contained a weapon in it, probably quite similar to the drawing I did that you see at left (no, I’m not the world’s greatest artist). The principal even admitted that there was no danger to the students, and that there was no real weapon involved. Sure, no school wants to be the site of the next Jonesboro or the next Columbine, but this is ridiculous. All of the things I’ve read about on About.com, Randy Cassingham’s “This is True” newsletter, and other sites around the Internet are showing kids being suspended or even arrested for being kids. An example for you of how to handle things properly… picture it. 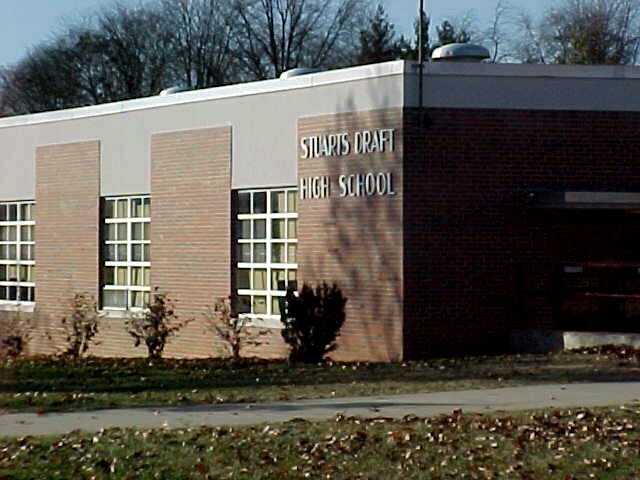 Stuarts Draft, 1993. I was in sixth grade back then. One day after a specific student who had previously been “Bucket Man” for a presentation in English class got a cut on his finger during English class later on in the year, and went to the office in pursuit of a band-aid, I made the comment, “Bucket Man dies.” (insert some good-natured laughter from the class here) His comment back to me was, “I’ll get you for that.” Now in some schools, that would be construed as a “terroristic threat”, and he’d be suspended, arrested, and spending some time in the pokey. Thankfully, it was seen as harmless, and it came to its logical conclusion a few weeks later, when he did indeed (hilariously) get back at me during a Vikings Team talent show. It was a scream, and I enjoyed it thoroughly. Now we’ve discussed other people’s run-ins with the zero-tolerance monster, but you should know that I’m not exactly a spectator when it comes to this kind of foolish policy. Picture it. 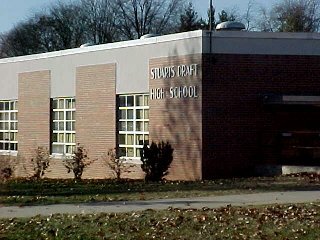 Stuarts Draft, 1999. It was April of my senior year in high school, about a week after Columbine. I was still in a sling from a shoulder injury a few weeks before, had already been accepted into JMU, and could care less about high school, but still had to go in order to graduate. I was thrown out of my fourth block class without my stuff for getting on the already-in-a-bad-mood teacher’s nerves. What the specific offense was I can’t remember, but that’s somewhat irrelevant. After being placed IN A CLOSET in the office because no one was available to see me, I was released at the end of the day, and went to retrieve my stuff from the room. I was confronted by the teacher, asking why I had “acted up”, and I explained. She probed further, and started to lecture to me. Not being in the mood for it, incredibly upset with her as it was, I interjected, “This is what caused the two students in Littleton to snap!” and stormed right out of the school. I had to go to work anyway, and run an errand before work, and so I found leaving quite appropriate. Anyway, the next day, I’m called to the office, told that my statement was akin to shouting “fire” in a crowded theater, my belongings were searched, I was suspended for two days, and told my name would be turned over to the district attorney’s office. 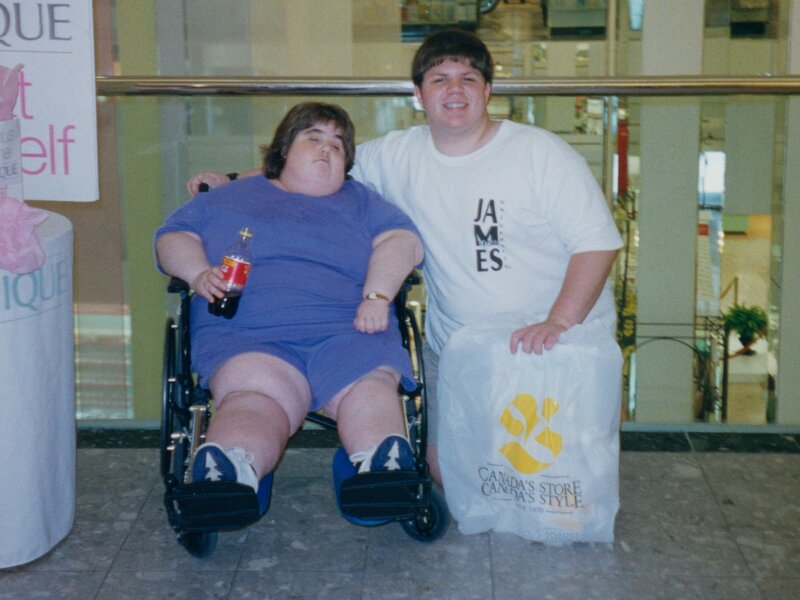 Needless to say, my parents intervened, had the suspension lifted and stricken from my permanent record, and my name cleared, and to this day, my mother gives Lisa Shifflett (the teacher) the evil eye whenever she sees her. You may be asking, “What is the point of this (very long) quote?” The answer is that kids will be kids. The true Columbines-in-waiting will exhibit some warning signs that teachers need to watch for. A coworker of mine said that instead of suspending the children who are being bullied and such who may eventually snap, take them aside and find out what’s going on and what’s causing them, problems, and otherwise having problems. Then deal with the problem after gathering information from the students. But zero-tolerance policies go entirely too far. Under zero-tolerance, everyone’s a criminal, and there’s no way NOT to screw up, outside of not attending at all. No, actually I take that back… some schools have zero-tolerance policies on tardies and absences, too. The solution? Take these policies out of the rule books entirely, and require teachers and administrators to use that college-educated brain of theirs (after all, if they were not going to use their brains, why did they go to college to educate it in the first place?) to come up with proper punishments that fit the “crime” committed.